So I’m one month into my Goodreads book challenge and my little widgety thing says I’m ahead of schedule! I’m enjoying having this behind me to give me an incentive to pick up my tablet and read. 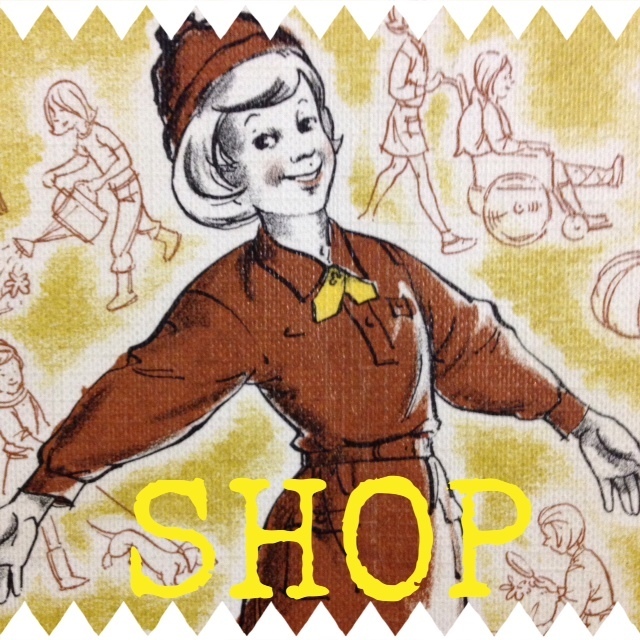 I really enjoyed reading Mary Portas’ autobiography, Shop Girl. Her early life was definitely eventful. So much has been chucked at her that she’s had to deal with, so you can see where the brazen, strong woman on today’s TV screens has come from. I thought it ended far too quickly though, so hopefully she’s busy writing the next stage of her life story. I’ve selected a few more books to fit my categories now. Eldest Craftyguidelet selected my children’s book, and my twitter friend (and fellow Elf on the Shelf aficionado) @HamertonSally who just happens to be a librarian, gave me a few more choices. A book that’s been adapted into a film. A celebrity book club read. If there are any recommendations to fill in any of my gaps, please feel free to leave a comment! The Craftyguidelets love to read. My eldest can be in the middle of 3 or 4 books at a time, but still knows exactly what is going on in each. I used to devour books when I commuted into London. But now my commute is from the kitchen to the living room or the office, and my volunteering has expanded, the time I allocate to reading books has reduced considerably. 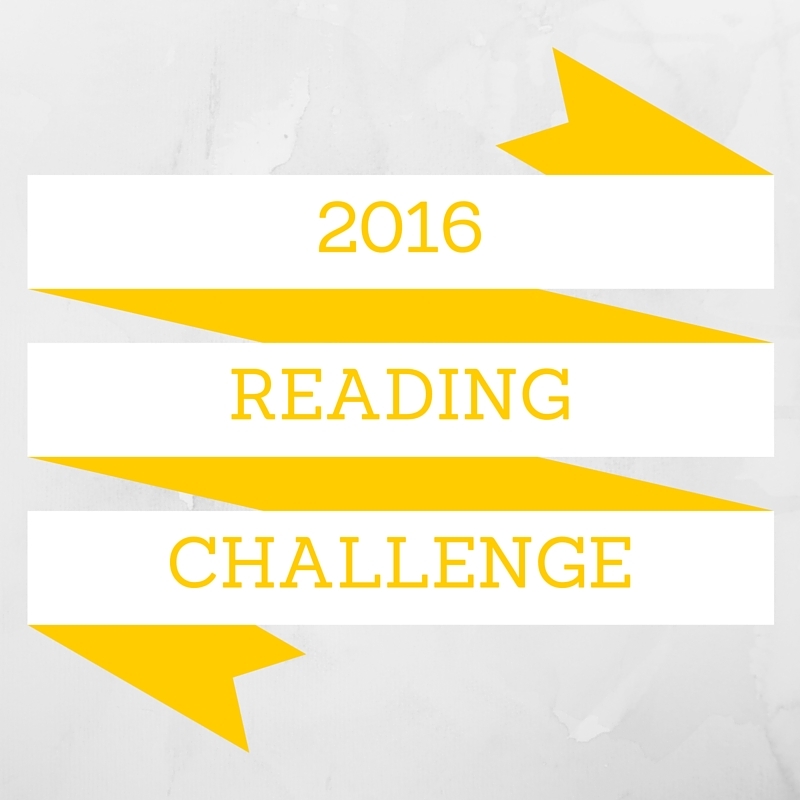 With a queue of books on my Kindle app and a pile of books in the cupboard, I decided to set myself up on the Goodreads 2016 Reading Challenge. As well as keeping my list short with a realistic target of only 12 books, I thought I’d try and find books from different categories to mix it up a bit. A book written by/about a historical figure. A book I should have read at school rather than just the York Notes. I am one book in and it’s only 8th January – go me! My little widgety thing at the side of my blog keeps the tally, and hopefully I’ll read more than my target. 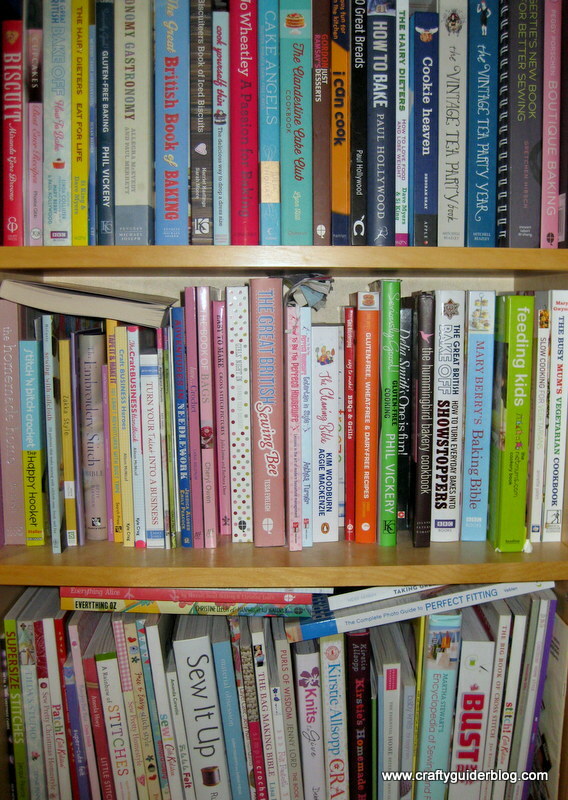 I love craft and cooking books. They give me inspiration, techniques, ideas, instruction, patterns, recipes, hints and tips. Some have been recommended to me. Some are from TV series I’ve enjoyed. Some are gifts. Some are swaps. Some are prizes. Once they are in the house, I won’t let them go. I’ve found that I either just use the same couple of pages over and over again, or don’t use them at all after the initial look through when they first come to me. Looking at some of these afresh, I am determined to use them, and in doing so, I might clear some of my crafty stash as well. I’ve decided to start with cake. Ingredients are ordered. Ready, set, bake! Are any of these on your shelf?